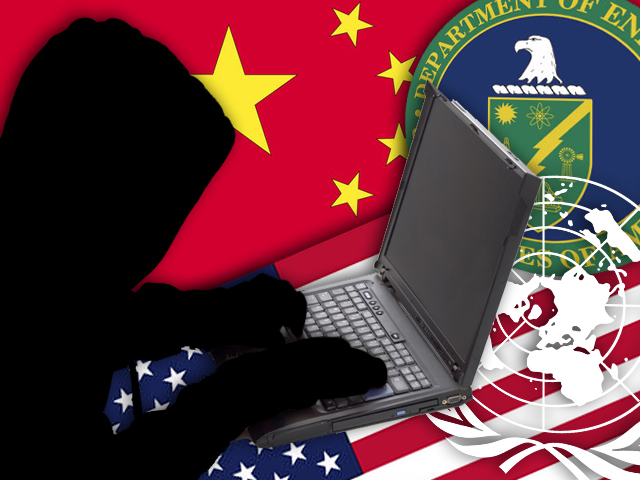 An intense hacking operation that compromised computers at such high-profile organizations as the United Nations and the International Olympic Committee has returned allegations of a Chinese hacking offensive to the spotlight. The computer security firm McAfee Inc. didn't name a suspect in its report on the five-year-long hacking operation released Wednesday, though anonymous security experts told The New York Times that China has developed a "sophisticated" squad to conduct cyber warfare. "We're not pointing fingers at anyone but we believe it was a nation-state," Dmitri Alperovitch, McAfee's vice president of threat research and the report's lead author, told the Times Wednesday. McAfee's report says it found security breaches dating back to mid-2006 and included one attack that lasted for 28 straight months against an unidentified Asian country's national Olympic committee. Overall, McAfee identified 72 hacking targets, including 49 in the U.S. Among the other victims were the U.N. secretariat, a U.S. Energy Department lab and a number of U.S. defense companies. McAfee told the Times that it didn't identify American corporations harmed by the operation because the corporations worried that being named would scare its shareholders and customers. One top U.S. intelligence official is on record saying that the Chinese have already aggressively infiltrated the computer networks of some U.S. banks and are operating inside U.S. electrical grids, mapping out our networks and presumably leaving behind malicious software that could be used to sabotage the systems. To be sure, China has used more low-tech options in its arsenal for spying on the United States. Last August, CBS' Scott Pelley, now anchor of the "CBS Evening News," reported on rare video obtained by "60 Minutes" showing a Chinese spy buying secrets from a Pentagon employee. On Wednesday, the Times attempted to ask the Chinese government for comment on McAfee's report, but the country's foreign ministry didn't respond to the Times' requests. The newspaper noted that foreign ministry spokesman Hong Lei said at a July news conference in Beijing that "The Chinese government opposes hacking in all its manifestations." Secretary of State Mike Pompeo acknowledged Wednesday that the terrorist attacks carried out in Sri Lanka over the weekend were at least "inspired by ISIS." He spoke with CBS News senior national security contributor Michael Morell for his podcast "Intelligence Matters." Police in Crystal Lake, Illinois, say they've found a body they believe to be missing 5-year-old Andrew Freund. Both of the child's parents have been charged with murder and other counts. Dean Reynolds joins CBSN with the latest. In his latest fight with congressional Democrats, President Trump is imploring his current and former staff to resist subpoenas requesting public testimony. CBS News White House correspondent Paula Reid and Scott Wong, a senior staff writer for The Hill, spoke to CBSN about what options Democrats can take to force a testimony. The Supreme Court heard arguments Tuesday on whether to allow a question about citizenship on the 2020 census. The Trump administration says data will help protect voter rights, but critics claim that the question could deter millions from participating in the survey. Conservatives have the majority on the court, and it appears they are leaning toward approving the measure. Sam Levine, HuffPost reporter who covers voter rights, joins CBSN with analysis.